In the first part of our three-part series of Alto’s Adventure tips and tricks, we told you about the basics of the game. 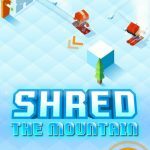 But in case you’re reading this strategy guide for the first time, we’d like to remind you that Alto’s Adventure is an iOS-only snowboarding game from Snowman that puts you in control of a young snowboarder named Alto, and eventually the rest of his crew. You get to do tricks as you explore hills and villages and get to avoid threatening chasms, and on occasion, you may even raise the ire of the mountain elders, who are the game’s antagonists. 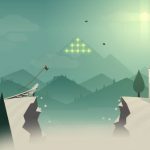 So having given you that quick refresher, let’s get to the meat of the matter, as we talk about some of the more advanced tips and tricks we can suggest to you for Alto’s Adventure. 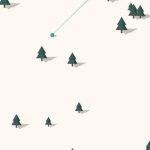 Yes, it is true – Snowman did promise that the maps would be randomized. But there are still some constants in these maps, and if you observe closely, you’ll find them soon enough. On top of each run, you’ll have to deal with two minor hills, and after that, there may be one or two chasm jumps, followed by the first elder. After avoiding that elder, there may be one to three chasm jumps in between the rest of the elders. Also, each subsequent elder you meet will be faster than the last, while the terrain may become rockier as you make your way through the map. Alto and his friends all wear a red scarf that grows longer for each successful trick. Once your character stops doing tricks, the scarf will become shorter. That said, trick combos are the best way to make your scarf longer, while the length of the scarf would be your best guide to determining when to activate speed boosts, or how close you’ve gotten to activating Alto’s wingsuit, assuming you’ve already bought it. The Workshop has three items you can purchase – the wingsuit, the magnet timer, and the hover timer. You may think that the wingsuit is the most important item to buy, hence the first to save for, but the magnet timer would be a better choice, as it picks up coins automatically. After all, you need coins to purchase Workshop items. 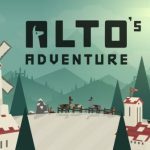 Alto’s Adventure has day and night scenarios, and while snowboarding in the day may not sound like much of a problem, doing the same in the nighttime is a different story altogether. If snowboarding at night is a pain, then simply increase your device’s brightness and you should be good. Destroying rocks and campfires is a great way to earn bonus points, but in order to do this, you’ll need to pull off a speed burst after a combo. You’ll know this is possible when you see a force field of sorts in front of your character.